Green Risks: Is My Well Running Dry? Is My Well Running Dry? The most common reason a well stops producing water is a pump failure or other mechanical component. Failure of the well itself is rarely sudden, but happens especially in drought. If your water supply has lost pressure, and seems to be drizzling out of your faucet your problem could simply be a loss of pressure in the pressure tank or damage to or a leak in the bladder in the pressure tank. If your water pulses as it comes out of the faucet, the most likely cause is short cycling of the pump, which could be caused by inadequate water supply or another faulty component in the pump system. However, there are times that the problem is the well and the water supply. For the plumbing system to function properly, the recharge rate in the well would have to equal at least the pump rate. The recharge rate or the well recovery rate is the rate that water actually flows into the well through the rock fissures. If the well cannot recharge at the same rate at which water is being pumped out of the well, the system would suffer intermittent episodes of severe water pressure loss or possibly water loss. If you have water first thing in the morning and again when you get home from work, but the supply seems to run out especially when doing laundry or taking a shower. Then you may have a groundwater problem. If your water is supplied by a well, you need to be aware of the factors that impact your water supply and regularly practice household water conservation to live within your water resources. There are dry years and wet years and water will vary, though it is not always obvious. The groundwater aquifer you tap for water is not seen so you have to be aware of your water budget and live within it, something that transplants from the suburbs and city are not always aware of. Many who are on public water on the east coast are very accustomed to thinking of water supply as unlimited. Your well is not unlimited and you need to be aware of your water use. The US Geological Survey collected and compiled daily water use data for the nation and there are tremendous differences regionally and even from state to state. We have the most control over the amount of water we use in our homes and weather alone does not explain the different water usage rates. In Maryland average domestic water use was reported to be 109 gallons/day per person while here in Virginia the average water usage was 75 gallons/day per person. Pennsylvania to the north uses an average of 57 gallons/day per person. Ironically enough, in Nevada, an arid state, the average daily water use is 190 gallons/person. When I interviewed Jeanne Bailey of Fairfax Water she confirmed that based on the regional drought response plan, per capita water use is higher in Maryland than Virginia. I do not know the causes of the variation beyond the weather, but the age of the water fixtures can contribute to the differences. There are tremendous differences in water consumption of appliances and fixtures based on their age and design. For example we all know about low-flush toilets which use 1.6 gallons per flush versus 5 gallons per flush for the older toilets. The same is true for washing machines, dishwashers and even showerheads. The information on your wells performance and location can be obtained from the water well completion report on file with the department of health. Be aware though, that private well construction was not regulated inVirginia until 1992 and is still not regulated in many places. The “stabilized yield” is the recharge rate at the time of installation. However, groundwater can change over time and it is commonly reported that the recharge rate falls over time from the initial recharge rate. Of course a drop in water pressure could just be caused by increased demand, if your pump is undersized for the number of plumbing fixtures in the house then using more than one bathroom at a time or doing laundry while taking a shower will cause a noticeable drop in water pressure. Laundry is the single most demanding water use in a home. Though the total number of gallons used for flushing typically exceeds laundry, the flushes are spread out during the day. In the well, a diminished water supply can be caused by drop in water level in the well due to drought or over pumping of the aquifer, or the well could be failing (do not forget that equipment problems are the most common cause of well failure). Groundwater supply can change because groundwater systems are dynamic. In the Valley and Ridge of Virginia (west of 95 and before the Appalachian Plateau) the geology is characterized by unconsolidated overlay underlain by fractured rock. In the Piedmont region the fractured rock tends to be sedimentary rock and is carbonate rocks within the areas of karst terrain. Fractured rock systems tend to be water rich areas of Virginia, but not uniformly so. In the fractured rock systems of the Valley and Ridge wells draw groundwater from fractures in the bedding plane which is parallel to the strike (vertical fractures). Fractures can run dry. In unconsolidated sediments of the coastal plain ground water is pulled from the saturated zone. In the Appalachian Plateau which is a flat layered rock system with horizontal fractures, the coal seams are typically the aquifer and groundwater is typically shallow. Coal country is the location of many shallower dug wells. The water level in a groundwater well usually fluctuates naturally during the year. Groundwater levels tend to be highest in the early spring in response to winter snowmelt and spring rainfall when the groundwater is recharged. Groundwater levels begin to fall in May and typically continue to decline during summer as plants and trees use the available shallow groundwater to grow and streamflow draws water. Natural groundwater levels usually reach their lowest point in late September or October when fall rains begin to recharge the groundwater again. The natural fluctuations of groundwater levels are most pronounced in shallow wells that are most susceptible to drought. Older wells tend to be shallower. However, deeper wells may be impacted by an extended drought and take longer to recover. Land use changes that significantly increase impervious cover and stormwater velocity preventing recharge from occurring over a wide area and can make existing wells more susceptible to drought. Significant increases in groundwater use for industrial purposes like fracking can overtax and aquifer. Unless there is an earthquake or other geological event groundwater changes are not abrupt and problems with water supply tend to happen slowly as demand increases with construction and recharge is impacted by adding paved roads, driveways, houses and other impervious surfaces. If your well tends to dry out during the summer when you try to do a load of laundry, you might want to address the problem before there is a drought when your well is likely to go dry. Addressing the problem could be as simple as implementing waterconservation strategies and measures, or could require replacing water fixtures, lowering a pump or deepening or replacing the well. The majority of wells are drilled wells that penetrate about 100-400 feet into the bedrock. The shallower dug wells are most useful in layered rock systems where you can use the coal seam to find water. Older wells in areas near springs and rivers tend also to be shallow, because they were installed before modern equipment in the shallow first aquifer. In my neighborhood built in this century, the deepest well is 450 feet below grade and the shallowest is 100 feet below grade. To provide a reliable supply of water, a drilled well must intersect bedrock fractures containing ground water and recharge at a rate greater than the typical domestic demand of 6-10 gallons per minute. In addition the pump must be in the saturated zone. The groundwater level can drop below the pump level as things like changes in demand, land use and drought change groundwater recharge. A temporary fix might be to lower the pump. Direct determination of the groundwater level in your well requires a water level meter which can cost hundreds of dollars, but a less direct indication of the status of your well might be obtained from a proxy well. The U.S. Geological Survey, USGS, maintains a group of 20 groundwater monitoring wells in Virginia that measure groundwater conditions daily and can be viewed online. One of the Virginia wells is just up the road from me in the same groundwater basin and is currently measuring below normal groundwater levels. It has been a dry spring so far I am keeping an eye on groundwater levels because one of the 100 foot wells in my neighborhood is mine and I am the last house before the river. I live in the Eastern Panhandle of WV, My neighbor who owns farmland beside my land has just drilled a well to get water to his cows. Since then I am noticing low water pressure especially in the evenings and the water cuts off while showering and doing laundry. Is the well he just put in affecting mine? Your neighbor could have affected your well, or it could be that your well is going dry. How close is your neighbor's well and how much water are they pumping? 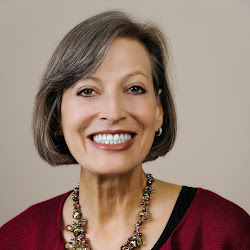 Elizabeth was awarded an MBA from the University of Pittsburgh and an MS ChE from NYU Tandon School of Engineering, worked as a chemical engineer for both the US EPA in DC, and at DuPont before working in finance and then becoming consultant with Washington Advisors and is the author of "The Lenders Guide to Developing an Environmental Risk Management Program." Elizabeth retired from Washington Advisors and began her volunteer career and is currently the Treasurer of the Prince William Soil and Water Conservation District. Green Risks provides information to understand the natural world especially in our local region. The blog is a mix of technical guidance and interesting information with a slant towards information to live a greener and more sustainable life. You will find articles on a wide range of water and environmental topics including help with water well problems and maintenance, septic systems and regulations, solar energy, low impact development, and many others all with the intent of teaching practical ways to solve problems and revive common sense in our society. There is Coliform in my Well- What to Do?